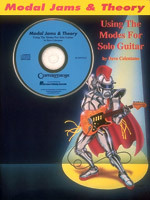 This book/CD pack is essential for anyone interested in expanding melodic concepts on the guitar. 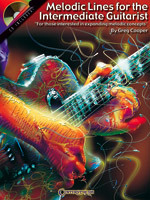 Author Greg Cooper covers: picking exercises; major, minor, dominant and altered lines; blues and jazz turn-arounds; and more. Influential fusion player Allan Holdsworth provides guitarists with a simplified method of learning chords, in diagram form, for playing accompaniments and for playing popular melodies in "chord-solo" style. Covers: major, minor, altered, dominant and diminished scale notes in chord form, with lots of helpful reference tables and diagrams. 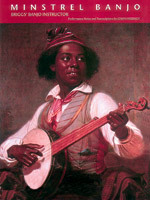 The Banjo Instructor by Tom Briggs, published in 1855, was the first complete method for banjo. It contained "many choice plantation melodies," "a rare collection of quaint old dances," and the "elementary principles of music." 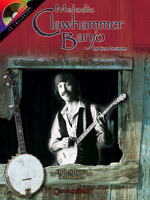 This edition is a reprinting of the original Briggs' Banjo Instructor, made up-to-date with modern explanations, tablature, and performance notes. It teaches how to hold the banjo, movements, chords, slurs and more, and includes 68 banjo solo songs that Briggs presumably learned directly from slaves. This book shows you how to play the modes, the theory behind mode construction, how to play any mode in any key, how to play the proper mode over a given chord progression, and how to write chord progressions for each of the seven modes. The CD includes two rhythm tracks and a short solo for each mode so guitarists can practice with a "real" band.